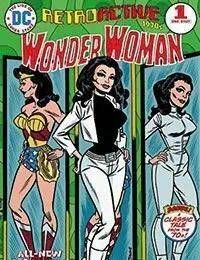 From legendary scribe Dennis O'Neil comes an untold adventure starring DC's Amazon Princess in her "white costume" phase! When Paradise Island is in danger, Wonder Woman must complete three tasks to save her homeland from destruction. But are these tasks too difficult even for her?Plus: a classic tale originally published in the 1970s, also written by Dennis O'Neil!